Crossovers and SUVs might be the hot-ticket item these days, but sedans still hold an extremely important part in the automotive landscape. 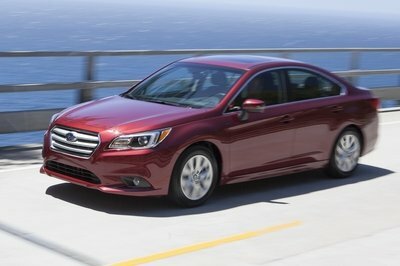 Mid-size sedans, especially, continue to post impressive sales numbers. Back for the 2011 model year, Volkswagen decided it needed a bigger slice of the American pie, so it introduced a version of its popular Passat build especially for the U.S. market. A refresh for 2016 brought sharpened body lines, a more chiseled face, and a slightly reworked interior. Now, a year later, the 2017 Passat soldiers on with nary a change. But, is this mid-size sedan got what it takes to rival the segment stalwarts, namely the Toyota Camry and Honda Accord? To find out, I recently spent three weeks behind the wheel of a Passat R-Line. What’s the R-Line, you ask? It boils down to a dolled-up version of the base Passat. It comes with larger wheels, a more up-scale front fascia, and the addition of Apple CarPlay and Android Auto. Better yet, the swankier trim doesn’t come with a massive price tag. 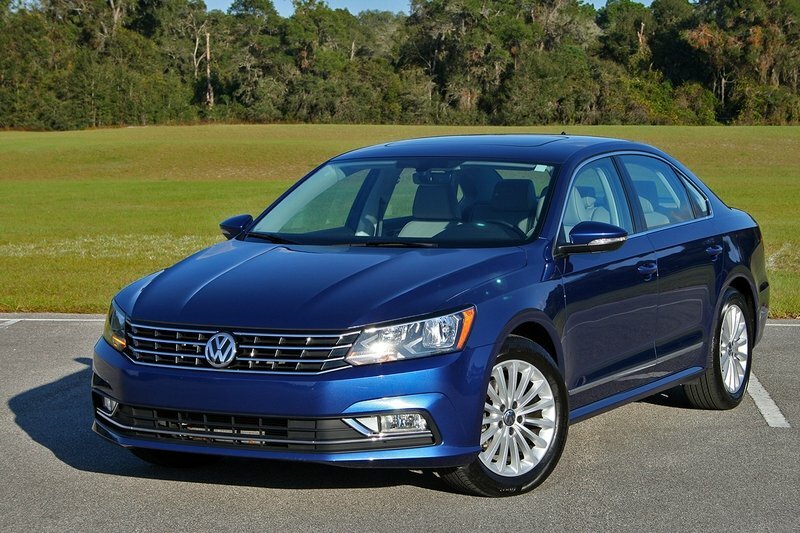 It’s only $1,535 more than the base Passat S and retails for $23,875. 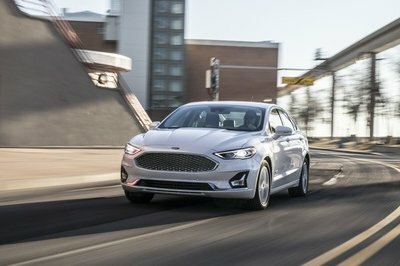 And thanks to its 1.8-liter turbocharged four-cylinder and FWD, it’s frugal at the pump, too, returning an EPA-estimated 34 mpg on the highway. Nevertheless, both the Camry and Accord are completely new for 2018 and will be stiff competition for this Tennessee-built car with German roots. Continue reading for more on the Volkswagen Passat R-Line. The Passat is low-key without being low-buck. Volkswagen’s refresh of the Passat for 2016 brought some welcomed changes. First, the rounded edges seen in the front fascia and taillights have been completely eliminated. In their place are crisp lines and sharp angles complemented by a reserved use of chrome accents. 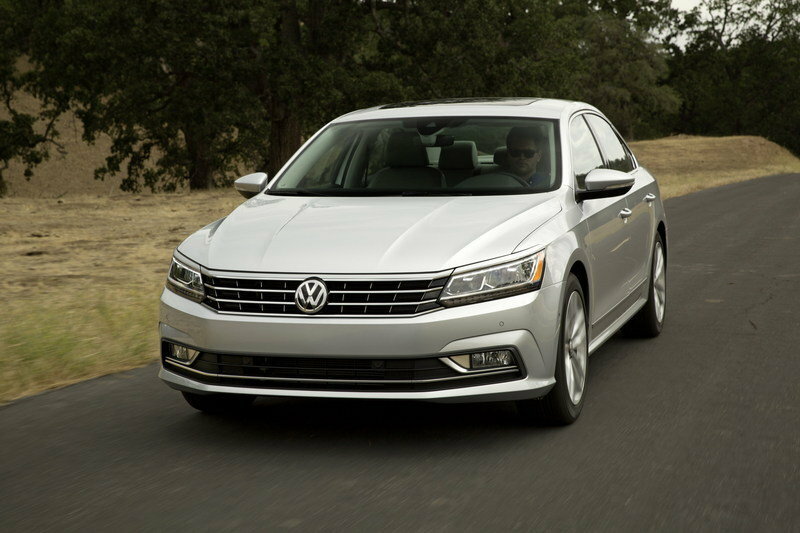 The new look certainly gives the Passat a more upscale yet not over-hyped appearance. It’s low-key without being low-buck. Well, at least looking low-buck. The Passat R-Line is technically a base-level Passat with some fancy design upgrades to make it more attractive. 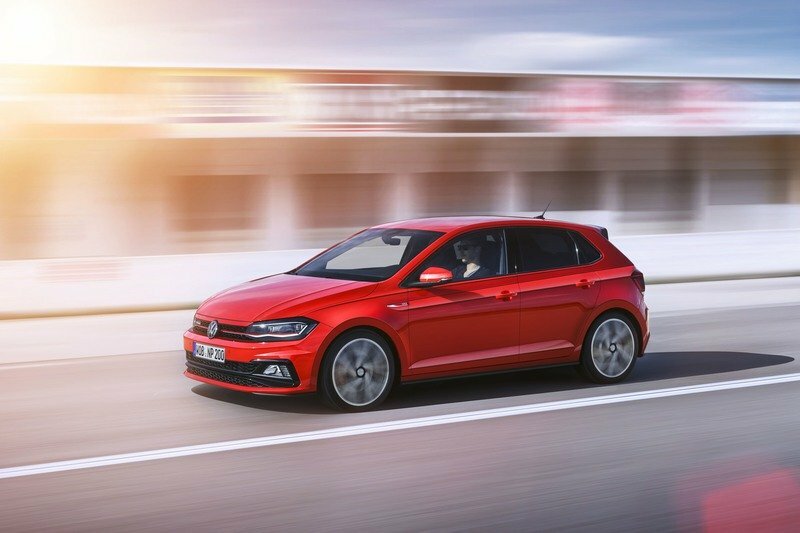 For $1,535, the R-Line brings some healthy additions, including the trim-specific bumpers, the 19-inch alloy wheels found on higher trim levels, and the VW Car-Net App-Connect within the infotainment system. 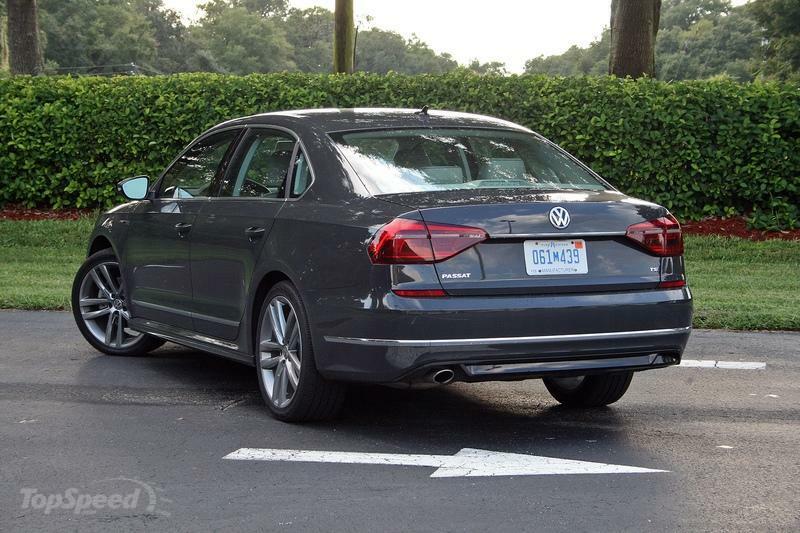 Side by side, the Passat S looks like a fleet-based rental car, while the Passat R-Line looks like your bosses ride. That’s definitely worth the extra scratch to many folks. Adding to the stately nature of the Passat R-Line’s aesthetics is the available Platinum Gray Metallic paint seen on my tester. The hue is almost matte, though it has a perfectly shiny clear-coat. It’s not a paint type seen many places in the automotive industry. That worth something. 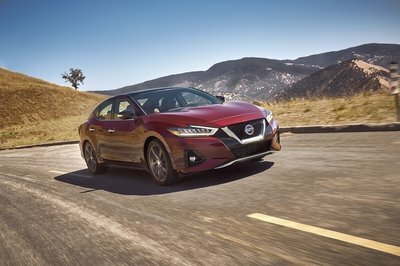 Five other colors are available on the R-Line and none of them are designed to call attention to the car – well, save for maybe Fortana Red Metallic, a deeper shade of red but that isn’t quite burgundy. 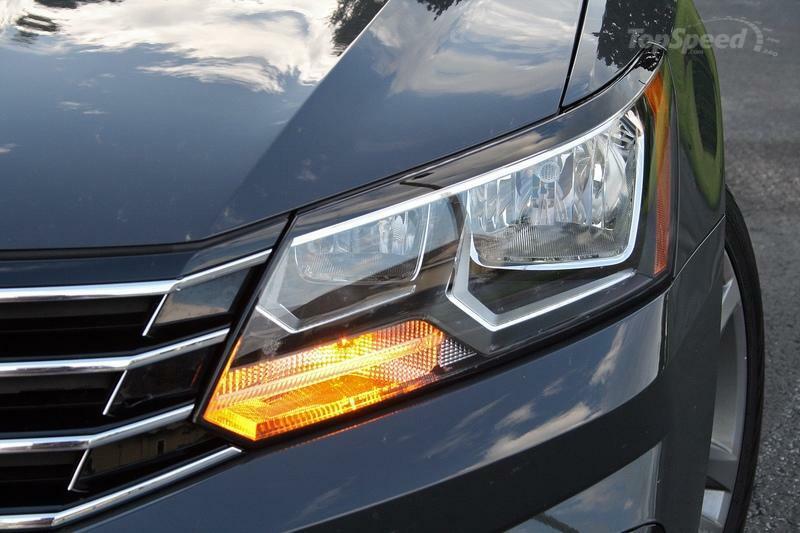 About the only major option available on the Passat R-Line is the R-Line Lighting upgrade – $1,095 worth of LED headlights and daytime running lights mixed with a more modern appearance over the halogen-based headlights that come standard. My tester skipped this upgrade, but the halogen headlights did just fine, though the low-beams seem to be aimed a bit too close. Holistically, the 2017 Volkswagen Passat R-Line can be described as a self-respecting car that doesn’t need flashy curves or intricate designs that attract attention. No, if the Passat garners attention, its thanks to the minimalistic approach VW designers took to vehicle design. Volkswagen’s minimalistic theme carries into the Passat’s interior. Everything wears a reserved and non-offensive style that creates a feeling of usefulness without excess. There is no swoopy dashboard or outlandish contrast stitching. Chrome is kept to a minimum and creature comforts are restricted to what most people these days would consider basic. The R-Line comes with dual-zone climate controls, heated front seats, basic power adjustments in the driver’s seat, and a tilt-and-telescoping steering column. There’s only one USB port, there are no rear HVAC vents (but are included in higher trims), and the “leather” seats are actually leatherette, or in other words, a soft vinyl. Yet because of this design approach, the Passat R-Line feels handsome and not over-burdened with technology that could break in five years. Better yet, it keeps the cost down. (We’ll get to more on pricing later.) 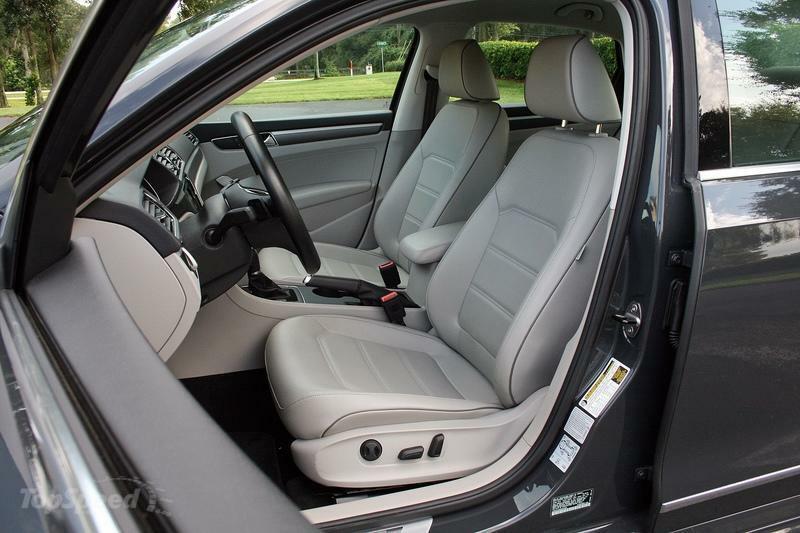 What you get is a roomy four-door sedan with generous room for four regular-sized people or five should the three in the rear seat not mind getting closely acquainted. Let room is surprisingly abundant in all but that unloved rear-middle seat. The Passat offers versatility, too. The rear seatbacks split in a 60/40 style, allowing for larger cargo to be hauled. I dropped the seats to bring home a few eight-foot-long strips of wood from the home improvement store. The trunk is also huge at 15.9 cubic square feet. It boats a handy cubby for things like a gallon of milk, while smaller items like ice scrapers and gloves can be stored in the spare tire compartment. 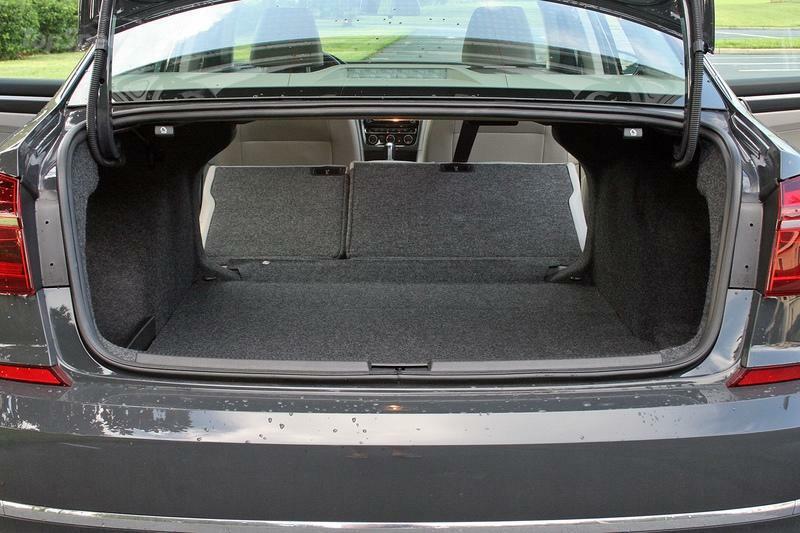 The only downside to the Passat’s trunk are its exposed trunk lid hinges. They present the risk of crushing luggage or groceries should the trunk be packed too full. Behind the wheel, the driver enjoys a leather-wrapped, three-spoke wheel with multi-function controls and paddle shifters. 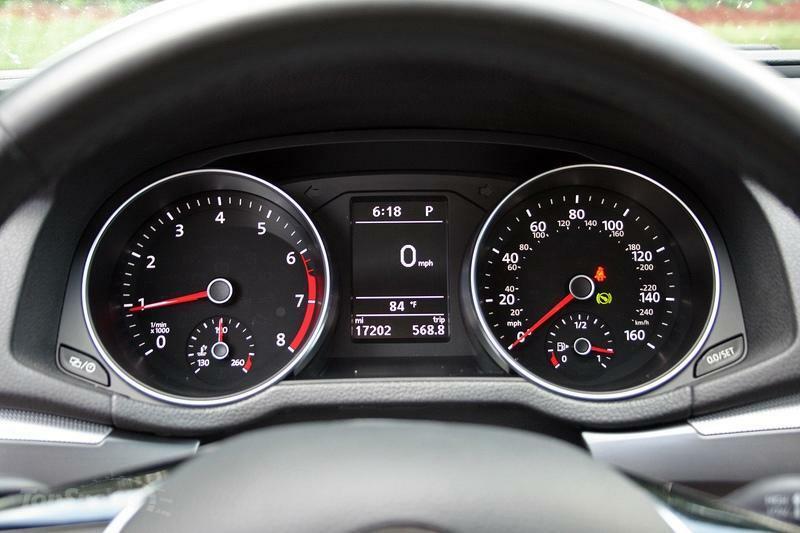 Analog gauges display speed, engine revs, fuel level, and coolant temperature, while a digital driver information screen shows more detailed vehicle stats. It’s not the most modern of gauge clusters, but the classic style should stay looking undated for a while. The same can’t be said for the 6.3-inch infotainment system. The software just feels aged and its menus aren’t as friendly to navigate. But thanks to the Car-Net system, Apple CarPlay and Android Auto are present. I found myself using CarPlay more often than no, despite its inherently finicky operation. 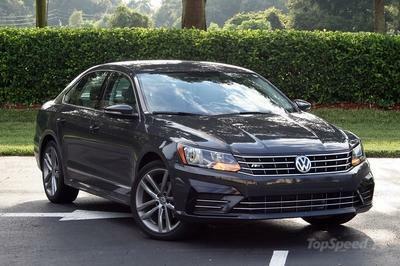 Overall, the Passat R-Line offers tons of space for passengers, plenty of legroom and headroom for taller folks, a generous amount of cargo space, and a design theme that most will find soothingly simple. The 2017 Passat is available with two engines: the 1.8-liter TSI turbocharged four-cylinder and the 3.6-liter VR6. Not surprisingly in these days, the V-6 is limited to the SE w/ Technology and SEL Premium trims and only if customers want it. The four-cylinder comes standard everywhere else. The 1.8-liter uses an older iron-block design, but cuts some weight with aluminum cylinder heads. Dual overhead camshafts control 16 valves (four per cylinder) and direct fuel injection keeps fuel usage to a minimum. Interestingly, the TSI engine does not have variable valve timing. Horsepower is rated at 170 at 6,200 rpm and torque comes in at 184 pound-feet at only 1,500 rpm. And torque is what this engine loves to deliver. Just off idle lies a generous supply of twist, enough to move the Passat through city traffic with ease. Merging onto the Interstate takes a bit more planning, however. The 1.8-liter and its six-speed automatic transmission are programmed to keep the turbo away from boost unless absolutely needed. In fact, a detent at the far end of the accelerator’s travel must be passed in order to wring the most from the engine. 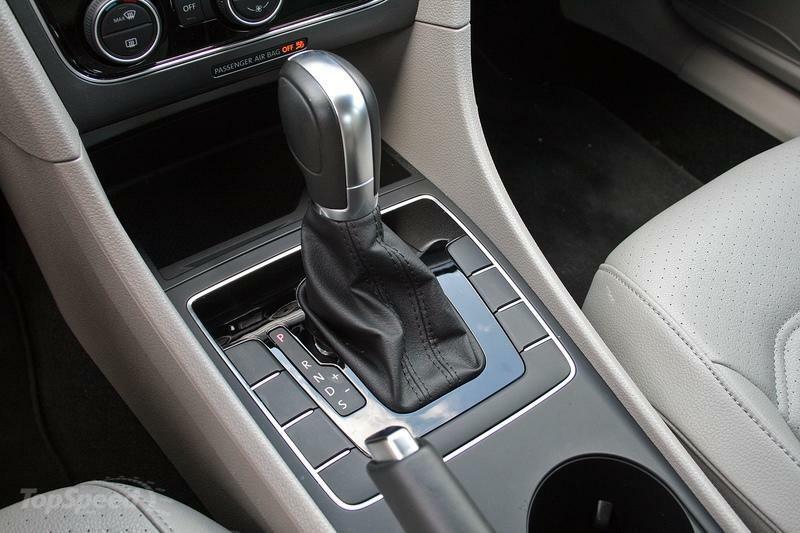 The transmission does have a sport setting, though it doesn’t change the shifting characteristics as drastically as many sport modes do on modern vehicles. Of course, you can shift yourself with the paddles or slap-stick gearshifter, but plan on a one-second delay between the request and action. Since Volkswagen clearly traded a sporty driving nature for a more fuel-frugal tune, the Passat 1.8 offers respectable fuel economy. The EPA estimates 23 mpg city, 34 mpg highway, and 27 mpg combined. Oddly, these numbers are less impressive than the 2016 Passat equipped identically. Last year, the 2016 Passat 1.8 was estimated to achieve 25 mpg city, 38 mpg highway, and 29 mpg combined. I averaged 27.9 mpg during my extended, three-week loan where I drove just over 1,000 miles in mixed conditions. For customers wanting AWD or a hybrid powertrain, the Passat simply can’t deliver. It’s only available in FWD and with the two aforementioned gasoline engines. And of course, there isn’t a turbodiesel option either. Sliding into the driver’s seat, I quickly noticed a few negatives. First, the steering column doesn’t extend far enough toward the driver. It will push almost all the way towards the dash – you know – to accommodate grandma and her short legs. This made my reach to the steering wheel feel excessive and meant I had to roll my seat forward. However, by doing so, the majority of the center armrest resides behind the seatback. That meant I had very little armrest to use when properly arranged behind the wheel. What’s worse, the armrest’s leading edge is sloped and smooth. Wearing a long-sleeve dress shirt makes it darn near impossible to keep an elbow firmly planted on the armrest without it uncontrollably sliding off. Those ergonomic complaints aside, the Volkswagen Passat offers a clean dashboard with logical placements of buttons and controls like the HVAC system. Large cup holders makes it easy to bring the Big Gulp and storage compartments ahead of the gearshifter and in the door pockets offer plenty of space for odds and ends. Naturally, there is also space under the center armrest. Volkswagen also puts a conveniently fold-out tray just under the headlight controls. Driving down the road, the Passat handles as well as a non-sport sedan can be expected to. Body motions are controlled over bumps and through turns. Road noise can get loud on rough pavement, but is otherwise not an issue. I did find the Passat to become a bit floaty at highway speeds when hitting undulating bumps and expansion joints. It’s not a big deal, but was a noticeable characterizes I don’t find in many of my test vehicles. 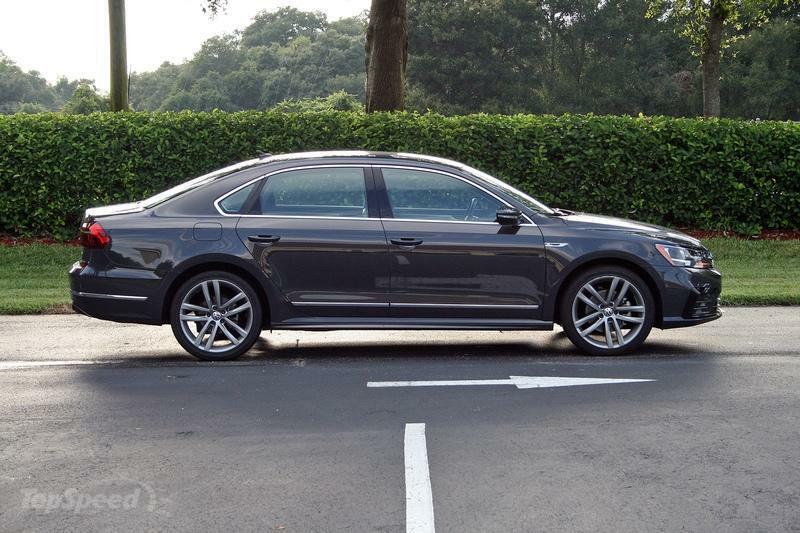 Perhaps the Volkswagen Passat R-Line’s greatest attribute is its reasonable price tag. The 2017 model starts at $23,975, which is only $1,535 more than the base Passat S. The R-Line also undercuts the SE trim by $1,520, making a good middle-ground for price-conscious shoppers. Of course, if you’ve got money to burn, Volkswagen will happily sell you a Passat V-6 SLE Premium for $33,995. That trim brings a Fender audio system, lane departure warning, and leather seats, on top of the upgrades found in the SE w/ Technology trim. Those include the upgraded infotainment system with Discovery Media, Adaptive Cruise Control, and Park Distance Control. My R-Line tester came with zero options, so the $820 destination fee is the only add-on cost. That brought the total price to $24,795. Honda has brought some major changes to the Accord for 2018. 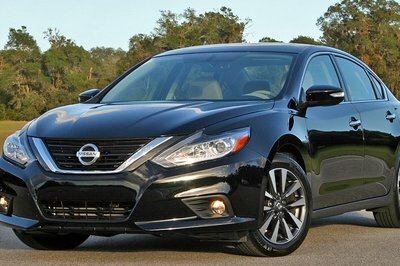 The family sedan moves into its 10th generation and wears all-new styling inside and out. The wheelbase is 2.2 inches longer and the body is constructed of more high-strength steel, contributing to a more taut chassis. A pair of turbocharged four-cylinders are avaiable under the hood. The standard mill is a 1.5-liter unit with 192 horsepower and 192 pound-feet of torque. Customers can opt for the 2.0-liter derived from the powerhouse used in the Civic Type R and delivers 252 horsepower and 273 pound-feet of torque in the Accord. Sadly, the venerable 3.5-liter V-6 is no longer an option. Honda offers three transmission choices. 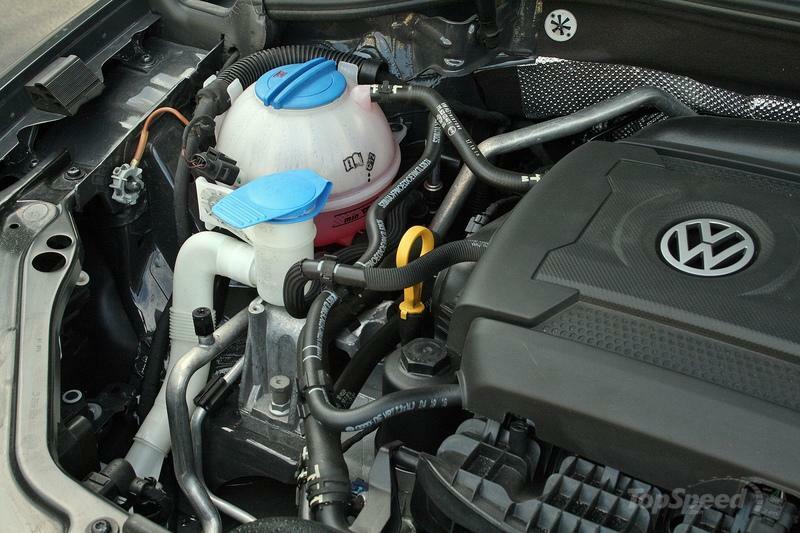 The 1.5-liter can be paired with a CVT or a six-speed manual transmission. The 2.0-liter can get the manual, too, or as most buyers will choose, with a new 10-speed automatic transmission. Regardless of engine, transmission, or trim level choice, the 2018 Accord has a two-setting drive mode selector. This offers Normal and Sport settings, with changes taking place within the steering feel, (automatic) transmission shift points, and throttle response. Active dampers are available on some trims, too, and change firmness between the driving modes. 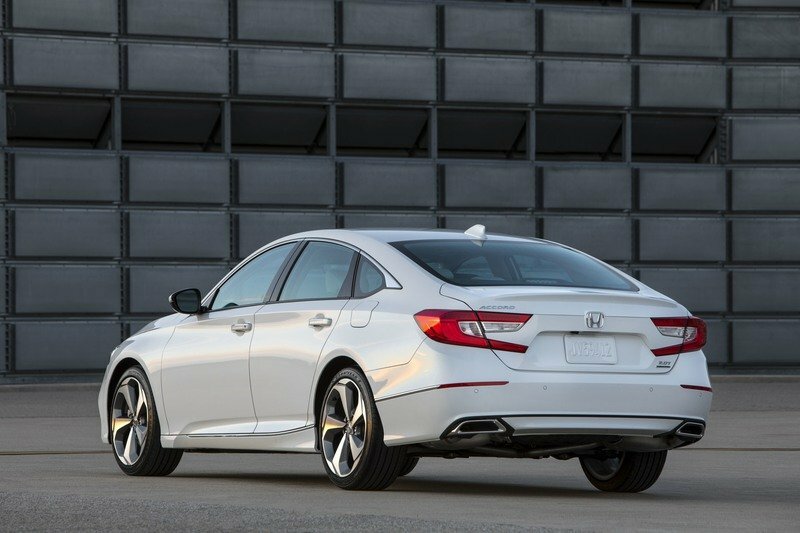 Those wanting a hybrid model will be happy to know Honda offers that trim for the 2018 Accord. Pricing for the 2018 Honda Accord hasn’t been released as of this review, but I’m not expecting Honda to raise its prices too much. Expect the MSRP to begin around $23,000 and cap out around $36,000. 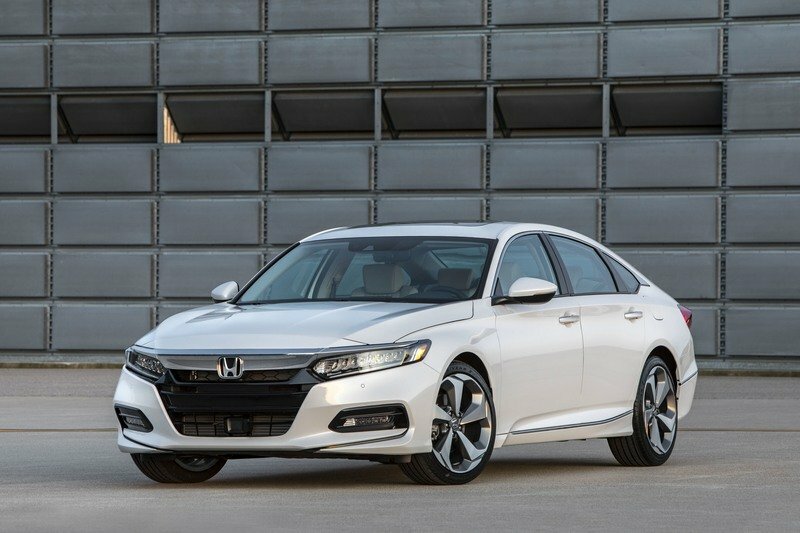 Read our full review on the 2018 Honda Accord. 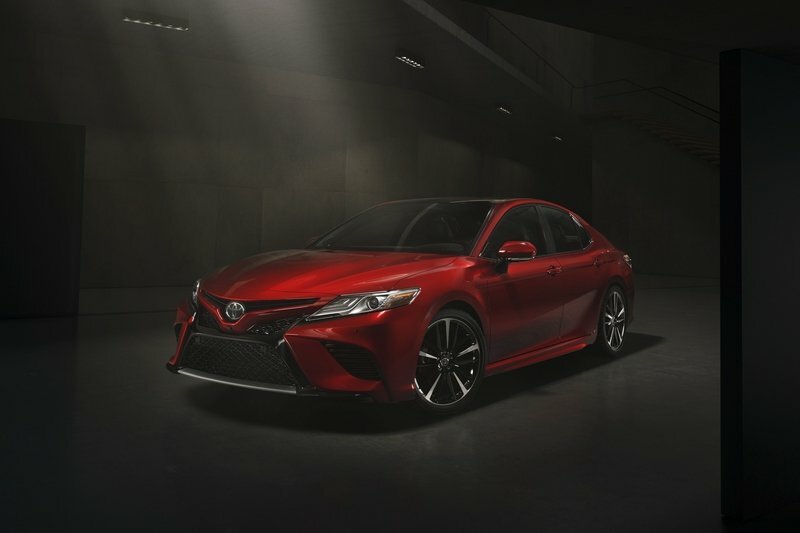 Equally new for 2018 is the hot-selling Toyota Camry. Toyota has completely reworked this mid-size family hauler into a more athletic, fun-looking ride that is a drastic departure from the yawn-inducing Camrys of past generations. It’s also longer, wider, and its roofline has a more coupe-ish slope. A heavily updated interior includes Toyota’s latest 3.0 Entune system, though oddly it doesn’t include Apple CarPlay or Android Auto. The swoopy dash looks like it came from Lexus and the two-tone leather seats in the upper trims might make some believe Toyota actually borrowed from its luxury division’s parts bin. Under the hood are three available powertrain options, all of which are new. The standard engine is a revised 2.5-liter four-cylinder with 178 horsepower and 170 pound-feet of torque. Optionally, a new 3.5-liter V-6 brings more power with 301 horses and 267 pound-feet of torque. Both are mated to an eight-speed automatic transmission designed for better fuel efficiency. If it’s maximum fuel-sipping you want, a hybrid powertrain delivers an impressive 51 mpg city and 53 mpg highway with the LE trim. All hybrid Camrys use the 2.5-liter four-cylinder paired with a CVT transmission. 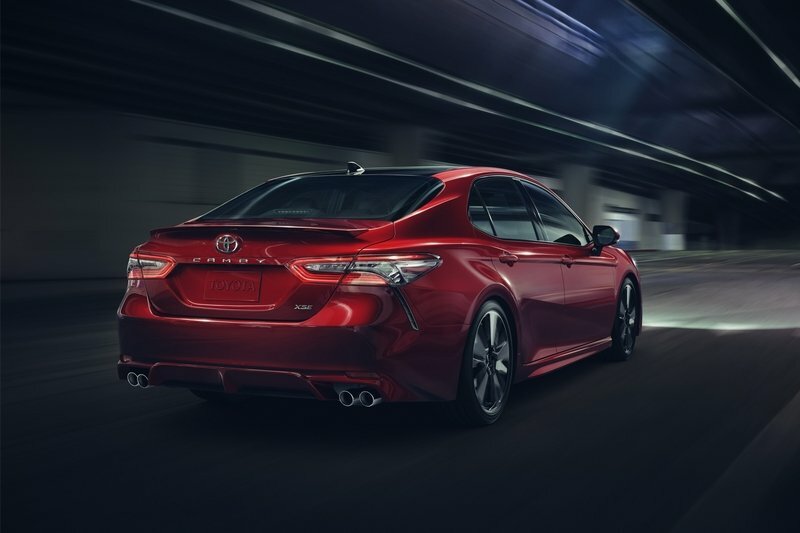 Pricing for the 2018 Toyota Camry starts at $23,495 and can grow to around $35,000 when fully decked out in the XSE V6 trim. Read our full review on the Toyota Camry. The Volkswagen brand has been about creating cars for everyday people for as long as it’s been around. Its name quite literally describes that. 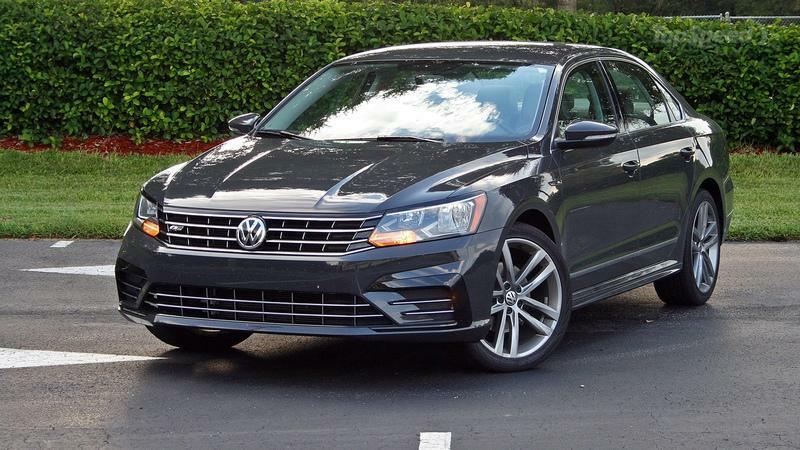 The Passat does a great job at embodying this philosophy by offering a sedan with plenty of room for four adults and their cargo, wrapped in an attractive yet not overstated package, all at a reasonable price. It’s hard to argue against the practicality of that. While I did find the Passat’s telescoping steering column to lack enough adjustability which led to a somewhat uncomfortable diving position, it wasn’t enough to quench my respect for the car. Especially in the R-Line, the Passat just works as a no-nonsense machine with just the right amount of character. There is certainly a lot to be said about that. 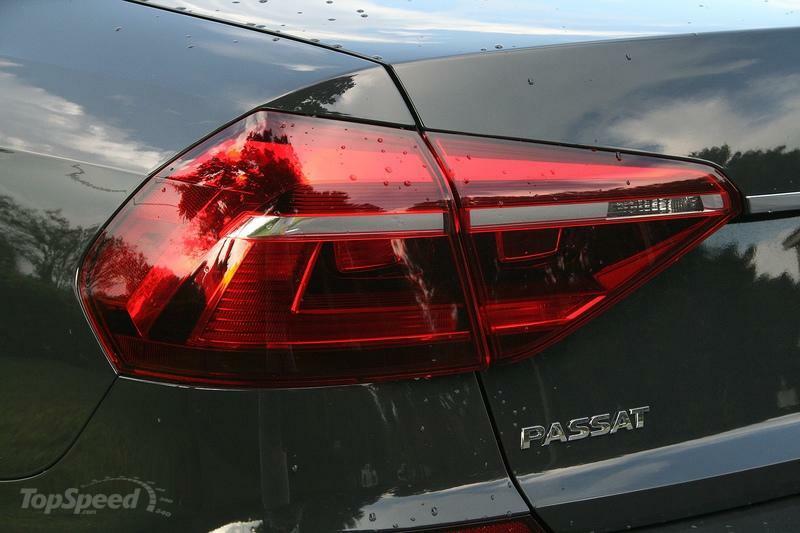 Read our full review on the Volkswagen Passat. Read our full driven review on the Volkswagen Passat 1.8T.